The American actress, film producer, and businessperson is Jennifer Joanna Aniston. She is professionally known as Jennifer Aniston. She has also been included in magazines' lists of the world's most beautiful women. In 2005, she became the first-ever ‘GQ Woman of the Year’. In 2007, Forbes rated her as one of the top 20 richest women in entertainment. She was also included in the annual ‘Star Salary Top 10’ of trade magazine The Hollywood Reporter for 2006. In 2017, she was one of the highest paid actresses. Jennifer Aniston starring Dumplin is at the theatres now. It is an American musical comedy film about the former beauty pageant winner Rosie Dickson, whose plus-size daughter Willowdean "Dumplin" Dickson decides to compete at the beauty pageant, organized by the former beauty queen, her mother. The movie stars Jennifer Aniston and Danielle Macdonald as the lead actors. Other casts are Luke Benward, Odeya Rush, Dove Cameron, Harold Perrineau, Bex Taylor-Klaus, and others. The movie is based on the novel of the same name written by Julie Murphy. The movie is directed by Anne Fletcher and is distributed by Netflix. Music on the film is given by Dolly Parton. She has either written or recorded on all of the 12 soundtracks. Dumplin's lead actors, Jennifer Aniston and Daniele Macdonald are also featured on the soundtracks along with other artists. Jennifer Aniston’s full name is Jennifer Joanna Aniston. She was born on 11 February 1969 at Sherman Oaks, California, U.S. She was born to John Aniston who is the Greek-born actor and Nancy Dow who is an American actress. She has two half-brothers named John Melick who is her older maternal half-brother and Alex Aniston who is her younger paternal half-brother. At age of 11, at Waldorf School, she started her acting career. She graduated from Manhattan's Fiorello H. LaGuardia High School of Music & Art and Performing Arts. Aniston’s height is 1.64 m and weight is 53 kg. Her eye color is blue and the hair color is blonde. Overall she has a balanced and healthy body. In 1989, she appeared on The Howard Stern Show, as a spokesmodel for ‘Nutrisystem’. In 1990, she was cast in her first television series named ‘Molloy’. She was a regular member. She appeared in ‘Ferris Bueller’ but was canceled. She also had roles in ‘The Edge’ and ‘Mudding’ but both shows got failed. In 1990, she was the TV movie ‘Camp Cucamonga’. In 1993, she had a role in the horror film ‘Leprechaun’. She had guest roles on ‘Quantum Leap’, ‘Herman's Head’, and ‘Burke's Law’. In 1994, she was cast in the series named ‘Friends’ until 2004. In 1996, she performed in the ensemble cast of the independent films ‘She's the One’. In 1996, she was in Tom Petty and The Heartbreakers music video for "Walls". In 1997, her first starring vehicle was the film ‘Picture Perfect’. In 1998, she was in ‘Dream for an Insomniac’. She also appeared in ‘The Object of My Affection’. In 1999, she starred in the film ‘Office Space’. In 2001, she was in Melissa Etheridge's music video for "I Want To Be In Love". In 2002, she was in the low budget film ‘The Good Girl’. In 2003, she appeared in the comedy ‘Bruce Almighty’. In 2004, she was in the film ‘Along Came Polly’. In 2005, she was in the thriller ‘Derailed’ and the rom-com ‘Rumor Has It...’. In 2006, she was in a low-budget drama named ‘Friends with Money’. She was also in ‘The Break-Up’. She also directed a hospital emergency room-set short film called ‘Room 10’. In 2007, she guest starred in an episode of Courteney Cox Arquette's series ‘Dirt’. In 2008, she starred in the comedy-drama named ‘Marley & Me’. In 2008, she and producer Kristin Hahn formed the production company ‘Echo Films’. In 2009, she was in the romantic comedy-drama ‘He's Just Not That Into You’. In 2010, she appeared in the romantic comedy action film ‘The Bounty Hunter’ and romantic film ‘The Switch’. In 2010, she released her new perfume named ‘Jennifer Aniston’. In 2011, she was in the comedy movie ‘Horrible Bosses’. In 2012, she appeared in the comedy ‘Wanderlust’. In 2013, she starred in ‘We’re The Millers’. In 2014, she reprised her role in the sequel ‘Horrible Bosses 2’. She also appeared in ‘Life of Crime’ and ‘Cake’. In 2014, she launched her second perfume named ‘J’. In 2015, she launched her third perfume named ‘Near Dusk’. In 2015, she played Jane Claremont in ‘She's Funny That Way’ which is a comedy film. From December 2015 to January 2016, she shot the war drama film ‘The Yellow Birds’. In 2016, she starred in the romantic comedy ‘Mother's Day’. In 2016, she created her fourth scent named ‘Beachscape’. In July 2016, she wrote an essay for ‘The Huffington Post’. In July 2017, her fifth perfume ‘Luxe’ was released. In October, she released her sixth perfume ‘Chapter One’. In 2018, her first original Netflix projects were announced which are ‘Murder Mystery’ and ‘First Ladies’. In 1996, at ‘Screen Actors Guild Award’ she won ‘Outstanding Performance by an Ensemble in a Comedy Series’. In 1997, at ‘Online Film & Television Association Awards’ she won ‘Best Ensemble in a Comedy Series’. In 2000, at ‘TV Guide Award’ she won ‘Editor’s Choice Award’. In 2001, at ‘Aftonbladet TV Prize Awards’ she won ‘Best Foreign Television Personality’. In 2001, at ‘People's Choice Awards’ she won ‘Favorite Female Television Performer’. In 2002, at ‘Aftonbladet TV Prize Awards’ she won ‘Best Foreign Television Personality’. In 2002, at ‘Hollywood Film Festival Awards’ she won ‘Actress of the Year’. In 2002, at ‘Primetime Emmy Awards’ she won ‘Outstanding Lead Actress in a Comedy Series’. In 2002, at ‘People's Choice Awards’ she won ‘Favorite Female Television Performer’. In 2002, at ‘Teen Choice Award’ she won ‘Choice TV Actress – Comedy’. In 2002, at ‘Online Film & Television Association Awards’ she won ‘Best Lead Actress in a Comedy Series’. In 2003, at ‘Aftonbladet TV Prize Awards’ she won ‘Best Foreign Television Personality’. In 2003, at ‘Teen Choice Award’ she won ‘Choice Movie Actress - Drama/Action-Adventure’. In 2003, at ‘Golden Globe Award’ she won ‘Best Lead Actress in a Television Series - Comedy or Musical’. In 2003, at ‘People's Choice Awards’ she won ‘Favorite Female Television Performer’. In 2004, at ‘Logie Award’ she won ‘Most Popular Overseas Star’. In 2004, at ‘Aftonbladet TV Prize Awards’ she won ‘Best Foreign Television Personality’. In 2004, at ‘Teen Choice Award’ she won ‘Choice TV Actress - Comedy’. In 2004, at ‘People's Choice Awards’ she won ‘Favorite Female Television Performer’. In 2005, at ‘ShoWest Convention Awards’ she won ‘Female Start of the Year’. In 2006, at ‘Teen Choice Award’ she won ‘Choice Movie Chemistry’. In 2006, at ‘People's Choice Awards’ she won ‘Favorite Olay Total Effects Make-Up Look’. In 2007, at ‘CineVegas International Film Festival Awards’ she won ‘best Short Film’ award. In 2007, at ‘People's Choice Awards’ she won ‘Favorite Female Movie Star’. In 2007, at ‘GLAAD Media Awards’ she won ‘Vanguard award’. In 2009, at ‘Women in Film Crystal + Lucy Awards’ she won ‘Crystal Award’. In 2011, at ‘Teen Choice Award’ she won ‘Choice Movie Chemistry’. In 2011, at ‘Golden Schmoes Award’ she won ‘Best T & A of the Year’ award. In 2011, at ‘Guy’s Choice Award’ she won ‘Decade of Hotness’ award. In 2011, at ‘Yoga Awards’ she won ‘Worst Foreign Actress’. In 2011, at ‘Alliance of Women Film Journalists Awards’ she won ‘Actress Most in Need of a New Agent’. In 2011, at ‘Elle Women in Hollywood Awards’ she won ‘Woman of the Year’ award. In 2012, at ‘Gracie Allen Award’ she won ‘Outstanding Drama’. In 2012, at ‘Walk of Fame Star’ she won ‘6270 Hollywood, Blvd. - Motion Picture’. In 2012, at ‘MTV Movies + TV Award’ she won ‘Best On-Screen Dirt Bag’ award. In 2013, at ‘People's Choice Awards’ she won ‘Favorite Comedic Movie Actress’. In 2014, at ‘MTV Movies + TV Award’ she won ‘Best Kiss’ award. In 2014, at ‘People Magazine Award’ she won ‘Movie Performance of the Year’. In 2014, at ‘Capri-Hollywood International Film Festival Awards’ she won ‘Best Actress’. In 2015, at ‘Santa Barbara International Film Festival Awards’ she won ‘Montecito Award’. In 2016, at ‘Giffoni Film Festival Awards’ she won ‘Experience Award’. In 2017, at ‘Alliance of Women Film Journalists Awards’ she won ‘Actress Most in Need of a New Agent’. In 1990, she dated Charlie Schlatter. In 1995 she dated Tate Donovan till 1998. From 1998 she dated Brad Pitt till 2005. She dated Vince Vaughn from 2005 to 2006. From 2008 to 2009 she dated John Mayer. In 2011, she started dating Justin Theroux. They got engaged on 10 August 2012 and married on 5 August 2015. But they got separated in 2017 and publicly announced it on February 2018. In September 2018, they got divorced which her husband called it heartbreaking but amicable. Jennifer Aniston an exceptional actress has earned huge fame and success from appearing in numerous movies and television series. 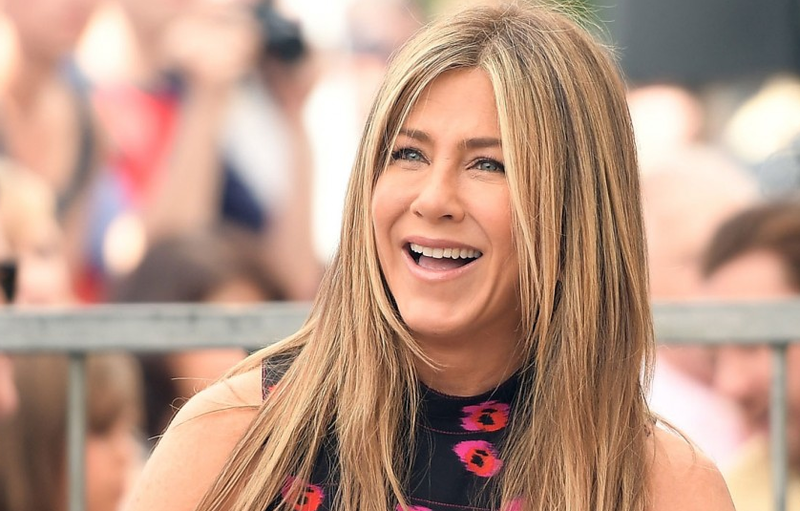 The net worth of Jennifer Aniston is estimated to be around $200 million as of 2018. She also worked as a telemarketer, waitress, and bike messenger. Aniston has also been in commercials for L'Oreal hair products. Aniston practices yoga and Budokan karate.